Mike McMahon - The Record, McKenna Brighton age 8 and Bradley Roehr age 7 try to place a baton the furthest up a lane while attached to bungees. 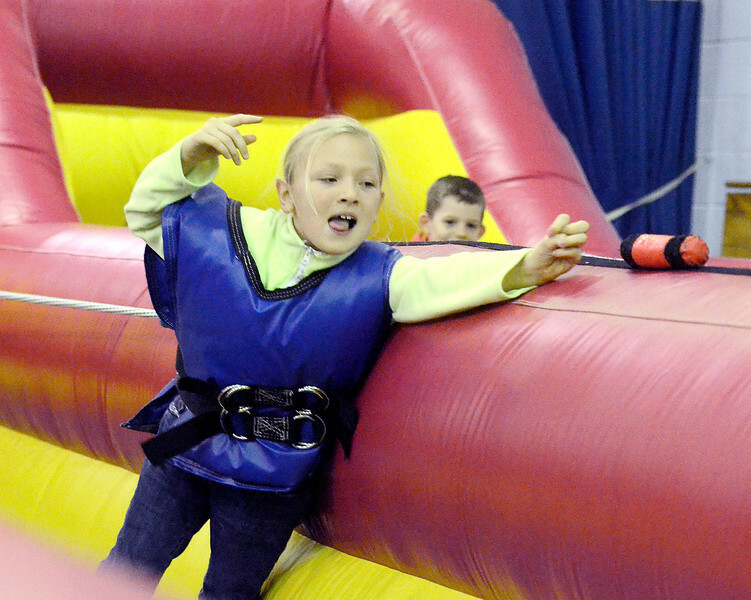 WinterFest was held at Goff Middle School, East Greenbush. Event encourages all students to become more civic-minded and involved in community events. , January 18, 2014.